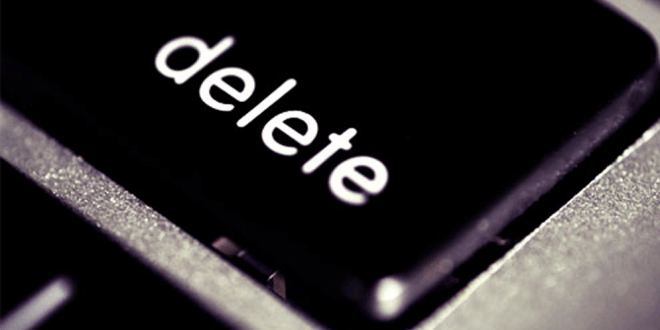 Contrary to the popular belief, deleting a file in windows does not mean that the file is permanently deleted from your PC. To be precise the deleted file still remains on the hard disk, but the operating system just removes the link to the files. The deleted file will remain on the hard disk until another file is created over it. While you many not be able to access the file, But these deleted file can be easily recovered by using a file recovery program. This might a big problem for you, in case you are planning to sell your hard disk. If the buyer is geeky enough, he will try to recover deleted files from your hard disk and who knows what he might get hold of. Similarly the tool can be used to permanently dispose of private data such as passwords, personal information, classified documents from work, financial records and anything similar. So if you ever want to permanently delete important files from your PC, you can make a use of free tool called Eraser. 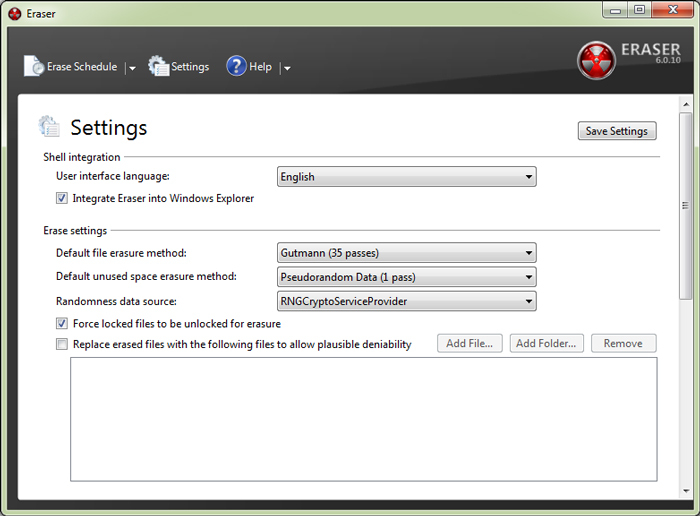 Eraser is an free and open source advanced security tool for Windows which allows you to completely remove sensitive data from your hard drive by overwriting it several times with carefully selected patterns. The tool supports Windows XP (with Service Pack 3), Windows Server 2003 (with Service Pack 2), Windows Vista, Windows Server 2008, Windows 7 and Windows Server 2008 R2. Using the tool is very simple. Simply Install Eraser on your windows PC and the next time you want to delete any file or folder, right click on the file or folder you want to delete and instead of clicking on delete, click on Eraser> Erase to permanently delete any files and folders without leaving any trace. Eraser even lets you choose from a list of different methods for erasing files, but its better to leave all the settings at default.